On Tour with Trivium and Huntress in the U.S. Now! Heavy metal heroes SABATON released their new record entitled The Last Stand, on August 19 through Nuclear Blast and have entered charts in 18 countries, as well as the world charts at a fantastic #6. 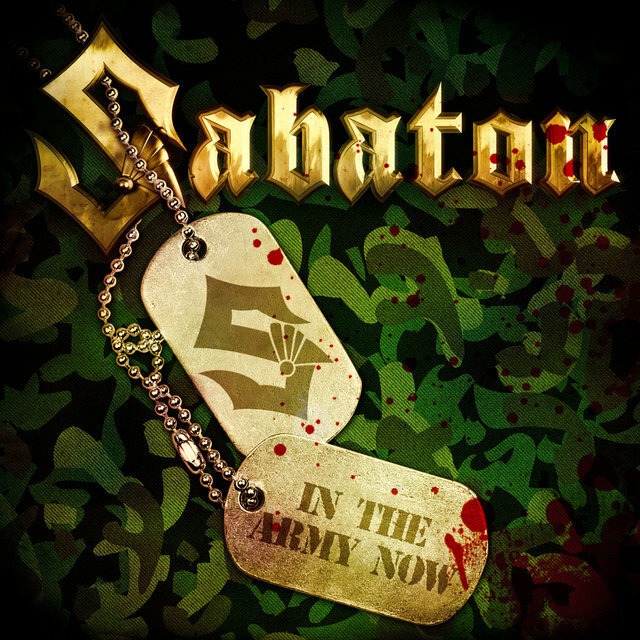 Today, SABATON release a new digital single for the song ‘In The Army Now’. SABATON is currently on the “Silence In The Snow” U.S. fall tour with headliners Triviumand fellow special guest Huntress. This is the first time U.S. fans will see SABATONperforming with their new guitarist Tommy Johansson. Pick up your tickets via www.sabaton.net/tour and see below for all current tour dates. Formed in Falun, Sweden in 1999, SABATON thoroughly researches their battle topics to ensure the songs paint accurate and objective portraits of the historical event they’re singing about, which are narrated from an omniscient point-of-view or in first-person as a soldier caught in the line of fire. Like their home country of Sweden, SABATON aims to remain politically neutral in their role as musical war historians. SABATON have reached their unshaken position as heavy metal’s AAA-torchbearer after releasing ingenious studio recordings and playing endless amount of unforgettable live shows with massive live production. The Last Stand is another unquestionable and bulletproof evidence of SABATON‘s top class abilities and it will be followed by the band’s most gigantic world tour to date.